Over the course of six months, these participants will receive training on conflict resolution, the Colombian electoral system, social mobilization, peace and negotiation among other topics. 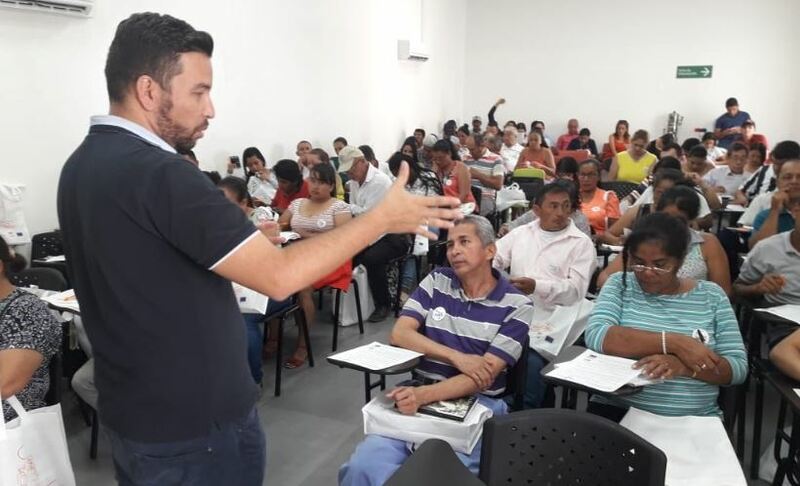 The most recent training sessions took place on 27-28 July in the municipalities of Chaparral and Montería. NIMD’s Democracy Schools provide a space for young and potential leaders to strengthen their political skills and knowledge. In Colombia, the schools are part of the Democratic Action for Peace Project, financed by the European Union. This project aims to deepen democracy in Colombia in the context of the implementation of the Peace Agreement. The eight multiparty Democracy Schools bring together civil society and (aspiring) politicians from all parties in the regions most affected by the conflict in Colombia. By encouraging dialogue, and by promoting democratic values, NIMD hopes to help heal past wounds.